What is the GMP-compliant approach and what do the single steps in the process flow look like? Our pdf download picks up these questions and gives a concise overview of the OOX process. Despite the aura of sensitivity surrounding results outside defined criteria, correct and confident handling of these types of results is crucial and can be used during audits to demonstrate high quality standards. A structured approach also provides very valuable information to improve the standard of quality. What is the GMP-compliant approach and what do the single steps in the process flow look like? 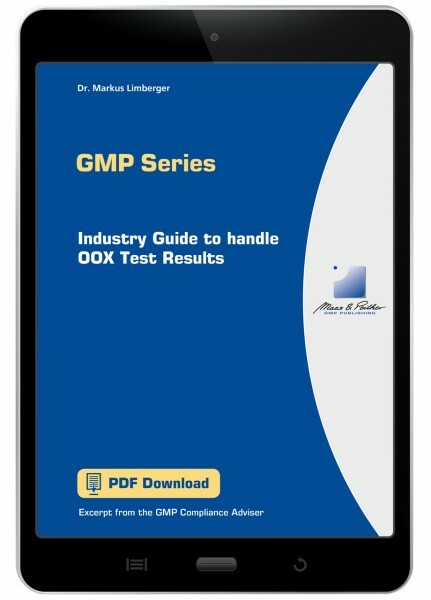 The pdf download Industry Guide to handle OOX Test Results - Managing Test Results out of Defined Criteria picks up these questions and gives a concise overview of the OOX process. What is the purpose of the OOX concept? What is the GMP-compliant approach when criteria are not met? For which processes can the concept be used? What is the correct way to document the process?